© John R. Bentley 2005. The engine's main bearings with oil cups. 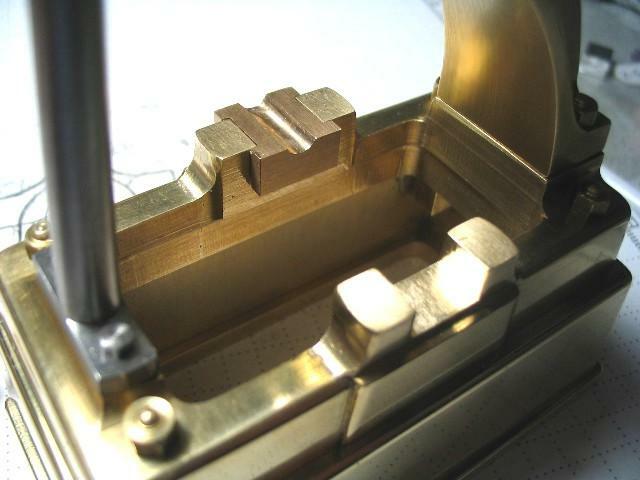 In this shot a slight difference in color between the lower bearing half and the soleplate indicates the use of 660 Bearing Bronze. 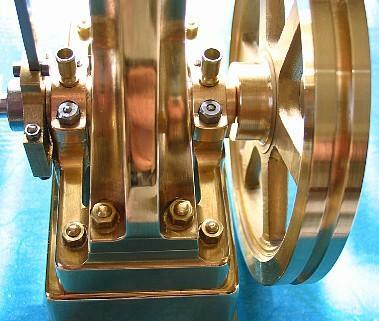 The Naval Brass soleplate is slightly less copper-colored than Bearing Bronze. 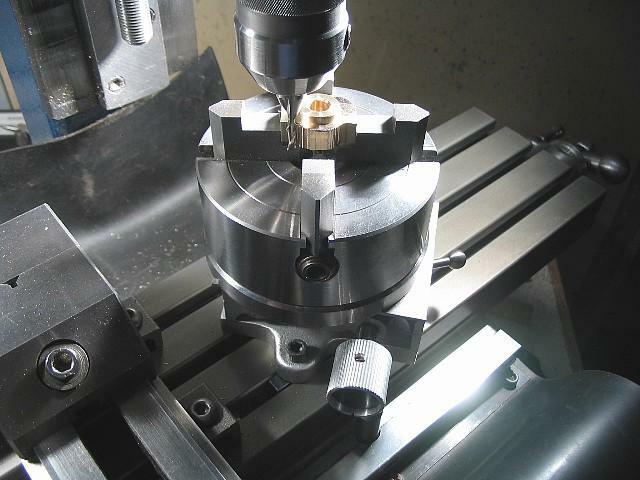 Below: A homemade rotary table was used to mill the serpentine shape of the bearing cap tops. 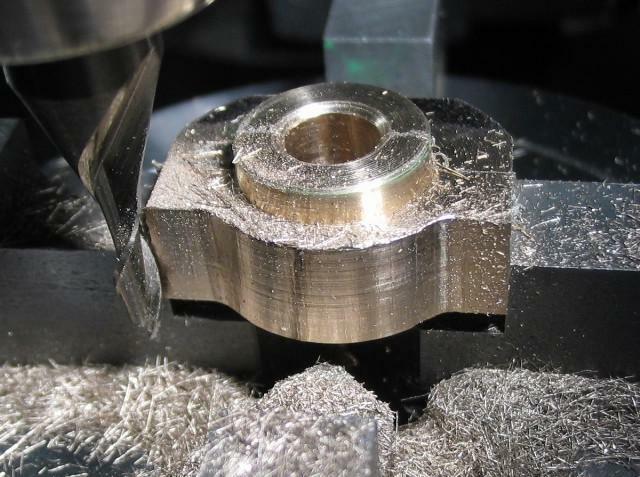 It is easy not to notice the endmill to the left of the bearings in this picture. 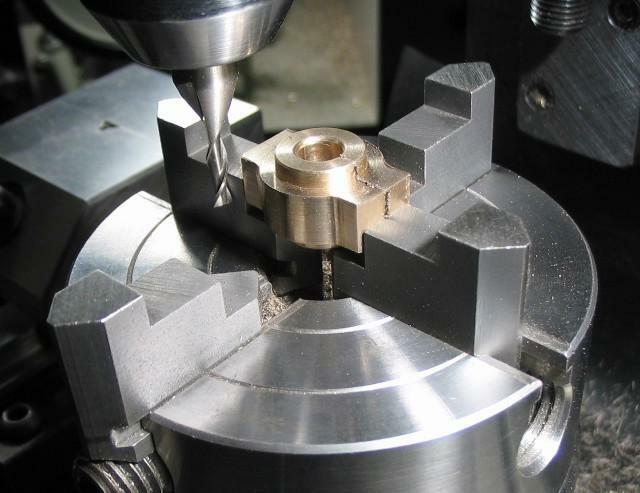 The caps were stuck together with double sided tape and held in a Taig 4-jaw chuck.